Harm Reduction is an essential component of a balanced approach to addressing the impacts of alcohol and other drug use within our communities. UnitingCare ReGen is a strong advocate for the ongoing improvement of Harm Reduction initiatives to compliment Supply Reduction and Demand Reduction measures within Australia’s Harm Minimisation drug policy framework. 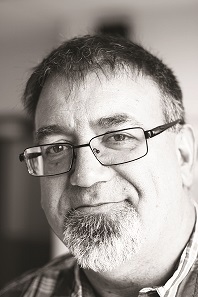 Laurence Alvis has been the Chief Executive Officer of UnitingCare ReGen (formerly Moreland Hall) for the past 10 years. ReGen is an alcohol and other drug service based in the northern suburbs of Melbourne, with a strong reputation and over 45 years of experience in the delivery of alcohol and other drug services in Victoria. The organisation delivers a broad range of programs and services in the local, statewide and national alcohol and drug and other sectors. ReGen is a registered training organisation and also produces many published resources which are used throughout the community. ReGen has taken a strong lead role in developing responses for better treatment outcomes for Methamphetamine (Ice) clients in all its services since 2012. It has assisted the Victorian State Government in developing a number of new education and treatment programs focusing on methamphetamine issues for clients and their families. Laurence has a Bachelor of Economics, a Post Graduate Diploma in Human Services Administration and a Masters in Social Science (Policy and Human Services). Laurence has been managing various community services since the early 1990s. Laurence has a strong commitment to social justice principals and providing accessible services to those who need them most.